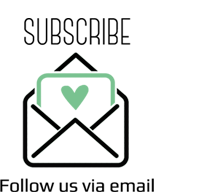 Global Design Project #014 was a sketch and what a wonderful collection of projects that were submitted last week - why do you always make it difficult for us to pick winners? It's so hard! But we found some stand outs. This is a fantastic card with some wonderful elements that have been added. Can you see the fringe strip? the ribbon with the bakers twine attached and those adorable flowers hanging down? and the fantastic use of the sentiment with the added layer behind is gorgeous. We love your card Carolina. Thank you for playing along with us. Bruno has played and supported the Global Design Project Challenge blog and has never won as we felt it may be nepotism involved. However this stand out card has gone viral on Pinterest and proven its popularity in its own right - even if he is married to one of the Design team members. 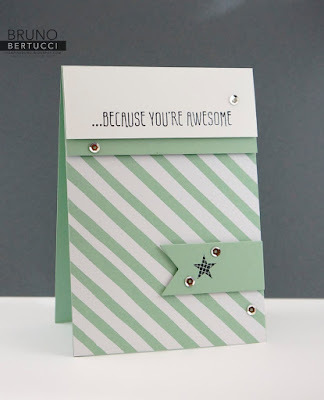 Love the Clean and Simple Card you have made Bruno. We appreciate your support at GDP. 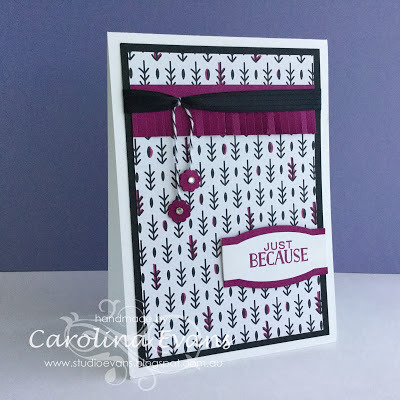 This gorgeous card made by Dena is adorable. The flower from the botanical gardens and the gorgeous Designer Series Paper are stand outs but keeps that clean and simple feel. Wonderful take on the sketch too Dena. 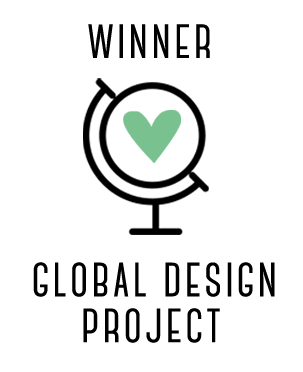 Thank so much for supporting us at the Global Design Project. Congratulations to our incredibly talented chosen winners. If you are a winner make sure that you add the Global Design Project badge on your blog. Thank you again to everyone for your support with the Global Design Project. We are so inspired by everyone who plays along. Make sure you play along with us next week - we have a theme to play along with next week! How cool. This is so awesome! Thanks GDP.